SkyView principals began working with Dr. Markowitz in the early 1990’s. This magnificent relationship spans decades, and SkyView is honored that Dr. Markowitz serves as a founding member of the firm’s board of advisors. Dr. Markowitz provided the portfolio management foundation supporting the vast majority of global asset management. He’s widely recognized as the “Father of Modern Portfolio Theory”. Likewise, his important work, The Utility of Wealth, played a critical role in the development of behavioral economics and finance. Dr. Markowitz has applied computer and mathematical techniques to various practical decision making areas. 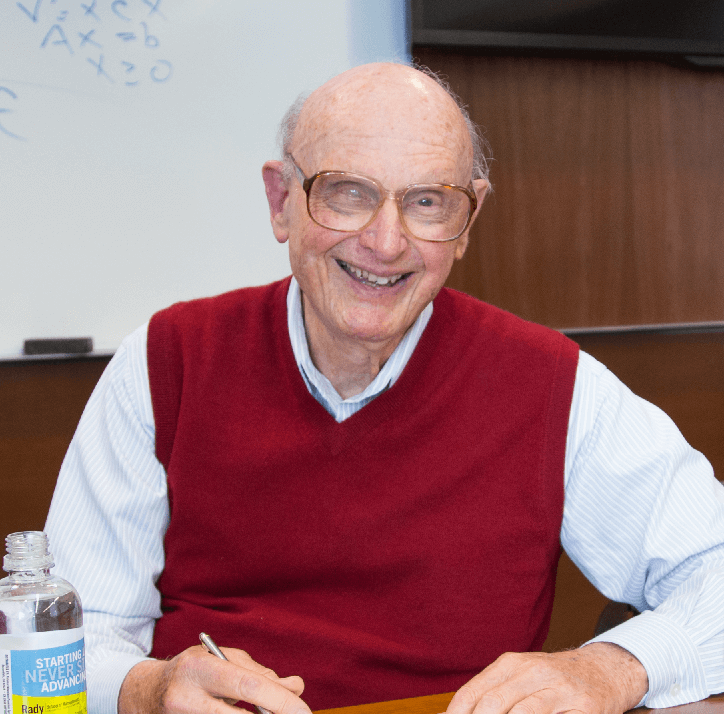 In recognition, in 1989 Dr. Markowitz received the Von Neumann Award from the Operations Research Society of America for his work on portfolio theory, sparse matrix techniques and the SIMSCRIPT simulation programming language. In 1990 he shared The Nobel Prize in Economics for his work on portfolio theory. Dr. Markowitz is the principal of Harry Markowitz Company, and an adjunct professor at the Rady School of Management, UCSD.